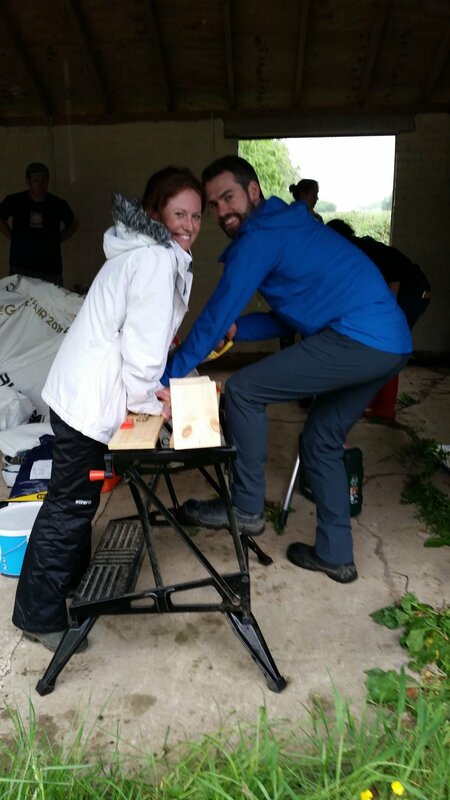 A HUGE thank you to all volunteers from Jaguar Land Rover PR Team who help us with a range of rainy day projects, including making gabion baskets, creating new fete games and sawing logs to fill our bee hotels! The biggest success was braving the non-stop wet & cold to paint the inside of our barn, which will be used as a space for recreation and education. Thank you to everyone who demonstrated great initiative, the benefit of team work and good humour. Your time and support has helped us to make great progress.